Over 700,000 visitors come to the park's 758 acres yearly, with 19,000 campers using The Bivy campground. Climbers, birders, hikers, trail runners, horseback riders, mountain bikers, and paddlers all use the park. With the small acreage, impacts are accumulating at a significant rate. 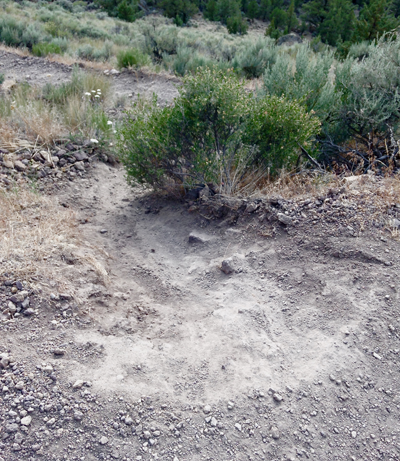 You see the damage daily as people cut trails to keep from walking the full length of a switchback. The Project aims to educate to hopefully preserve the fragile ecosystem of the park. 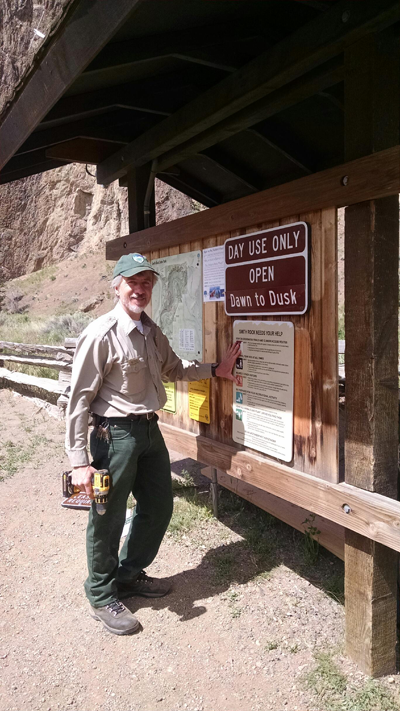 The Leave No Trace Center worked with Oregon State Parks and Recreation, Chockstone Climbing Guides, and members of the local community to create site-specific messaging for those recreating in Smith Rock State Park. The messages aren't all about staying on trails. Since the mission is to teach and inspire park goers to be responsible, they cover everything from self-preparedness to controlling your pet. Signs are posted at key stations with all the principles as well as scattered in various areas along park trails. Park Managers need the public’s help to ensure everyone visiting Smith Rock State Park can enjoy this spectacular and unique place today and well into the future. The Project finalizes by saying, "Be An Upstander Not a Bystander" and do your part by following the principles, telling others, and volunteering when you can. Well said Leave No Trace.